For many businesses, especially those that did not start in the tech industry, it's all too easy to come up the business software and data ladder one rung at a time. You integrate an inventory management solution here, a better payroll program there, host your website, start a social media campaign. Soon enough you've got more data churning than you have the resources to keep track of. Then there's the state of the computers and servers themselves. Most companies simply aren't prepared to handle with the avalanche of information and data generated by the business itself. The good news is that you don't have to be. With a network monitoring service, you gain the benefit of an entire dedicated team of network, security, and data specialists who can help you not just keep track of your digital assets, but also optimize the way you're using them. Here are 10 of the top ways that network monitoring as a service can help your business. "Business as Usual" isn't just the right words to live by when severe weather or other strange circumstances risk interrupting your workday. It's also a status-quo of your company network and flow of information from one point to another. Every day in your workplace, employees arrive in the morning, boot up their computers, check their emails, and start the day's work. What they do during the day depends on your industry and each employee's position but the overall work patterns of your staff will form a business-as-usual status that should repeat each day. Network monitoring can watch these interactions and identify when there are variances in the normal flow of work each day. If performance starts to flag, network monitoring will be able to detect the change and can alert management or even make a suggestion as to what is causing the problem. Along similar lines to keeping track of overall productivity in the offices portion of your company (whatever percentage that might be) is user activity tracking. If your business or certain departments handle sensitive data, it's important to track which user connected to secure information, from what device, and maintain an adequate level of safety while secured documents are in use. With network monitoring, you can precisely track who comes and goes through any segment of your business servers and services. Network monitoring pattern recognition can also identify when a single user breaks their own pattern of access and tries to gain access to secure documents during an unexpected time. This can easily result in a message sent to an admit. In addition, network monitoring can also be used to detect unauthorized or unknown users when they enter the system and try to access secured files. Network monitoring can be used to essentially make your network aware of where users are going and provide blocks or advice is the activities have been identified as risky. One of the biggest causes of business data security breaches has been malware picked up by employees browsing the internet. In the vast majority of cases, employees don't realize they've caused a problem or even recognize which sites were dangerous. You can't take search engines or browsers away from employees because these days those tools are necessary for work but you can create and blacklist and a whitelist of websites and resources available to help guide correct employee use of browsers and search engines. Network monitoring essentially is set up to trigger not just at signs of internal configuration trouble, but also when an employee workstations start accessing risk information, alerts can be sent to the person likely enacting the unusual data use advising them to stop whatever the unusual activity is and possibly even actively blocking them from unsafe sites. When malware slips onto your computer from some online or email avenue, it often needs a place to hide while it downloads the rest of itself, installs, and forms an action plan on your data. 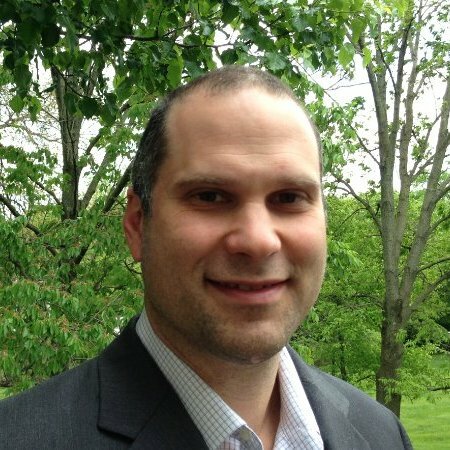 Some programs and even directed hacks will lurk in your system trying to disguise their activities as the usual sort of data comings and goings that occur in a normal business day. However, network monitoring knows the difference. Lurking malware and hackers will often hide during peak activity hours and only come out to use computer resources at night. They may also systematically look through accessible data for anything worth stealing, a search pattern that is easily identifiable. If network monitoring software detects a strong sign that something installed is malicious, an admin can be notified with a complete report of the events so far, the salient details, and a few recommended actions. Your website is an incredibly important asset to any business with an online presence. It's not the 90s anymore where a static page and a few helpful links were all any business website needed. Now you are expected to have eCommerce features, user portals, web apps, and a server resilient enough to withstand this kind of demand and traffic. The more advanced your website is and the more popular a location it becomes for online activity, the more stress your hosting servers will be under. However, the last thing you want is for your website to go down or to stay down for any length of time. Network monitoring is commonly used to monitor the availability of a website, also known as availability monitoring. This can ping your website every few seconds to alert you the moment the site goes down for any reasons so that your IT and website support teams can spring into action and get things back up as quickly and efficiently as possible. Of course, availability monitoring isn't the only thing that network monitoring can do for your website. In fact, when a website fails this is often the result of an overloaded hosting server. The solution to this is to have more than one hosting server available and balance the demands of the website between them. This is known as load balancing and can direct the needs of one website visitor to one server while it directs the needs of another website visitor to a separate website and this technique can also be used for calculations and data processing. When a server is getting overloaded, it will have a few easily recognizable symptoms. Physical severs will heat up and all servers will show signs of resource over-usage like maxed-out CPU or RAM. When a hosting server starts to get anywhere near this overloaded and at risk of failing, network monitoring will trigger the load-balancing protocol to ensure the stress and demands are spread evenly. On an interesting side-note, not all software, programs, and solutions come with a comprehensive logging option. But logging is an important part of troubleshooting and often part of vulnerability identification and management. When this is necessary but not available, network monitoring can serve as the generative source of these logs by creating accurate data that relates to a single process or the running of a single program. Network monitoring can even theoretically used to create logs for more complex interactive processes between business software solutions. Keeping your network in good working order has multiple layers. While network monitoring can give you a clear idea of what's going on within your network right now and can draw patterns from what has happened in the past, it can also help you make sure your disaster recovery plan is properly in place as well. The last thing you want after a hurricane or ransomware attack is to discover that your last set of backups corrupted or didn't save. Network monitoring can keep an eye on your automated backup system and send an alert if the backups don't compress, save, or store correctly. Finally, there's what you can do when network monitoring has been successfully tracking network data for a while and patterns begin to emerge. Most of the time these patterns will simply reveal the natural ebb and flow of your business but it will also be able to recognize problems on the horizon that have not yet started to cause trouble. A ballooning log file that will eventually require too much storage space, a program that has stopped providing output, or a new patch that seems to run data in a circle are all examples of the kinds of errors network monitoring can detect and help deal with before they cause the entire infrastructure to grind briefly to a halt. 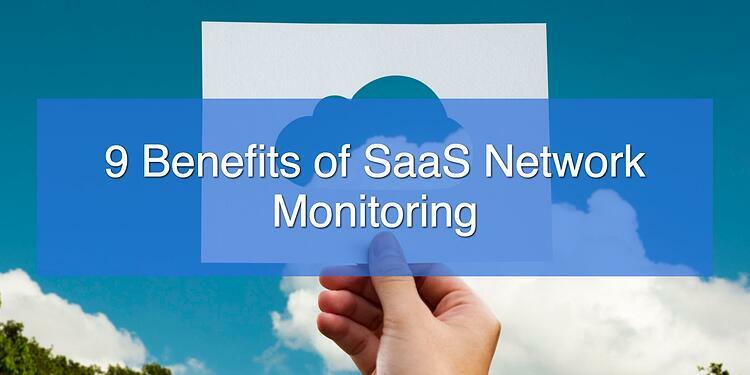 Whether you're looking for one fine-detail layer of cybersecurity or you need to get a handle on your growing business network, SaaS-style network monitoring as a service is the solution you're looking for. For more information about network monitoring and what we can do for you, contact us today!